This year’s HoneyKids Family FunDay promises to be bigger, better and messier – all for FREE! 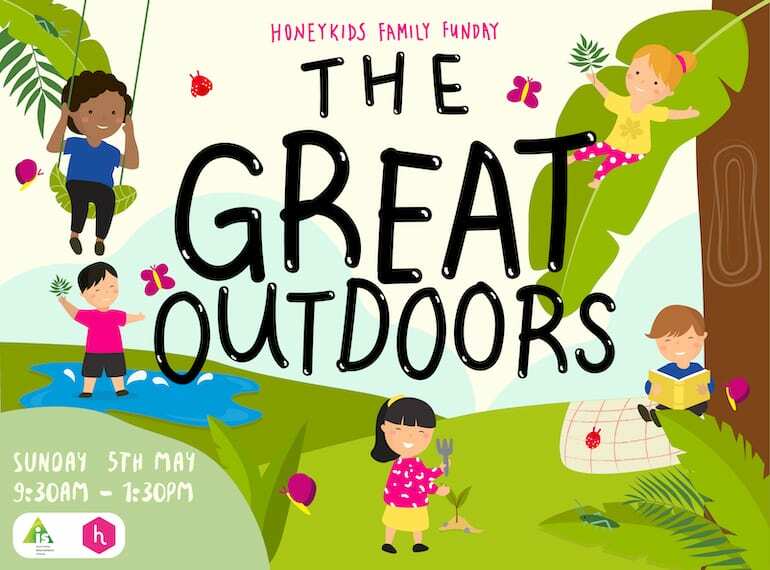 Read on for all the deets, dust off your picnic blankets and RSVP for the outdoor fun on Sunday 5th May 2019, 9:30am-1:30pm at Australian International School! Camp Asia‘s Parkour Playground, think jumping, climbing, vaulting and more! Pot your own plant with Bollywood Adventures, every kid gets to take theirs home! Bubble Play with Camp Asia, use the wands and create your own bubbles! Water Play, bring a change of clothes for this one! All of this for that magical word – FREE! Plus every family attending the event will also get a free goody bag full of extra fun including a copy of the eco-friendly Australian magazine Lunch Lady, filled with tasty recipes and tips for the whole family! Stay tuned to the FB event page for updates to programme. More details on how to get to venue etc will be emailed to guests a few days before the event.